Austin Child Guidance Center (ACGC) is a not-for-profit organization, subsidized by public and private entities in order to ensure that family access to mental services is affordable. The Intake Specialist will discuss your specific payment options during the initial request for service phone call. Service payments are collected by the Receptionist at the time of your arrival. ACGC accepts cash, checks, Visa, MasterCard, Discover and American Express. We accept: Aetna, BCBS, Dell Children's, Magellan, Sendero Idealcare, Superior Health Plan, TMHP, Tricare, United Health Care. Clients covered under an insurance policy accepted by ACGC are billed according to the terms of benefits. Office Staff verifies and confirms insurance eligibility prior to service. Insured clients must provide ACGC with valid insurance information. If approved to accept your insurance, ACGC will file relevant claims on your behalf. If your insurance can be used, it may cover only part of the fee for service. You are responsible for any remaining balance according to your plan benefits. 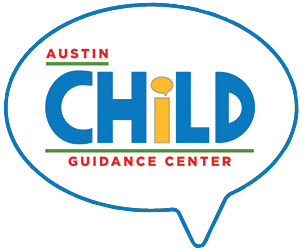 The Austin Child Guidance Center strives to serve clients with financial need by offering a sliding fee scale. This metric is used to adjust service fees based on gross household income and family size; regular/standard living expenses are factored into this calculation. The stated percentage represents the percent of service fees qualified clients will be responsible for paying. In order to verify eligibility for the sliding scale, the Intake Specialist will request proof of income (paystub, statement, etc.) at the time of service.